Riverview Center provides medical and legal resources for survivors of sexual assault and domestic violence. 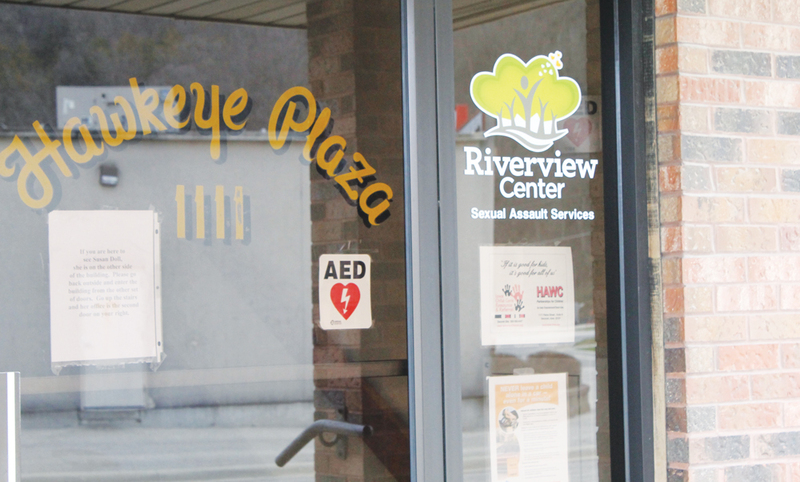 Within a small office complex in Decorah, tucked behind a Maurice’s and a Subway, lies the Riverview Center. The Riverview Center is a nonprofit organization that provides victim services for survivors of sexual assault and domestic abuse. This office is only one part of a larger network, that serves fourteen counties in northern Iowa and provides services such as therapy. Volunteer Coordinator of the Riverview Center Jessica Rupp explained the history of the organization and why there was, and continues to be, a need for organizations like this. The Riverview Center offers a wide range of services, such as medical advocacy, legal advocacy, and community education programs. Because every situation is unique, the center mostly functions on a case-by-case basis. Volunteers mainly provide medical advocacy to survivors of sexual assault. Lydia Nelson (‘18) is a volunteer for the Riverview Center as a survivor advocate. Nelson went on to say that she highly encourages people to volunteer and that even if a person has a busy schedule it is easy to give time to the organization. Rupp believes that it is important above all else to show support to the survivors and to provide them support in whatever capacity they desire. Both Rupp and Nelson recommend students or community members to volunteer for the Riverview Center. Jenny Hickey (’19) is a student volunteer for Riverview Center and has used the center’s resources herself.